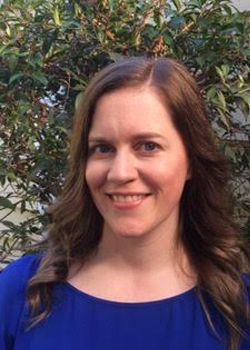 Megan Ferguson is a qualified Clinical Myotherapist with a Bachelor of Health Science Degree. She graduated from Southern School of Natural Therapies in 2009 and then travelled for two years working and gaining skills abroad. She worked in the Caribbean and Scotland over her travels. The hardest experience was the snorkeling in the Caribbean on her lunch break, but Megan persevered and did what needed to be done. On her return to Melbourne in 2012, Megan started working for Physiotherapists, Chiropractors and Osteopaths in Prahran, Rosanna and Canterbury. She gained invaluable skills whilst working with her peers and began Ferguson Myotherapy in 2013. As a Clinical Myotherapist, Megan uses her extensive knowledge of anatomy and physiology to assess, diagnose and treat muscle, nerve and joint related issues in the body. She prides herself on taking a holistic view of the treatment session, which includes individual patient education and support. Megan uses techniques such as postural assessment, cupping, dry needling, passive stretches, myofascial release, joint mobilisation, corrective exercises and pain management programs. She is also skilled in deep tissue, remedial, sports and Pregnancy Massage. Recently Megan graduated from the National College of Traditional Medicine with a Certificate in Equine Myofunctional Therapy. This enables her to work with our equine friends offering them support and maintenance for their optimal physical performance. In her spare time Megan is a self-confessed food snob, she loves new restaurants and cooking delicious food. She loves to travel, experiencing new cultures and having fabulous adventures.